and promotion cylinder, which not only play the role of insurance equipment, but also can solve mechanical problems without opening the machine. 2. It can adjust room of the outlet, easy to operate and reliable. 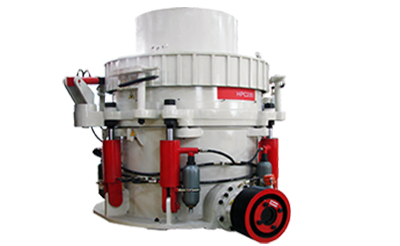 it can improve the crushing ratio and capacity, and increase the content of cubic products. 4. When iron feeds into the chamber or there is a sudden stop, the machine can lift the roof automatically, and discharge the material, which largely reduces the trouble of discharging by man. It is easy to maintain and low cost. 5. Hydraulic adjustment and oil lubrication and efficient labyrinth seal radiate the problem of oil-water mixture. 6. The concave and mantle are made of high manganese steel. With the change of cavity type and the protection of material layer, it greatly reduces the wear and its service life is longer than the old cone crusher by 35%-82%.